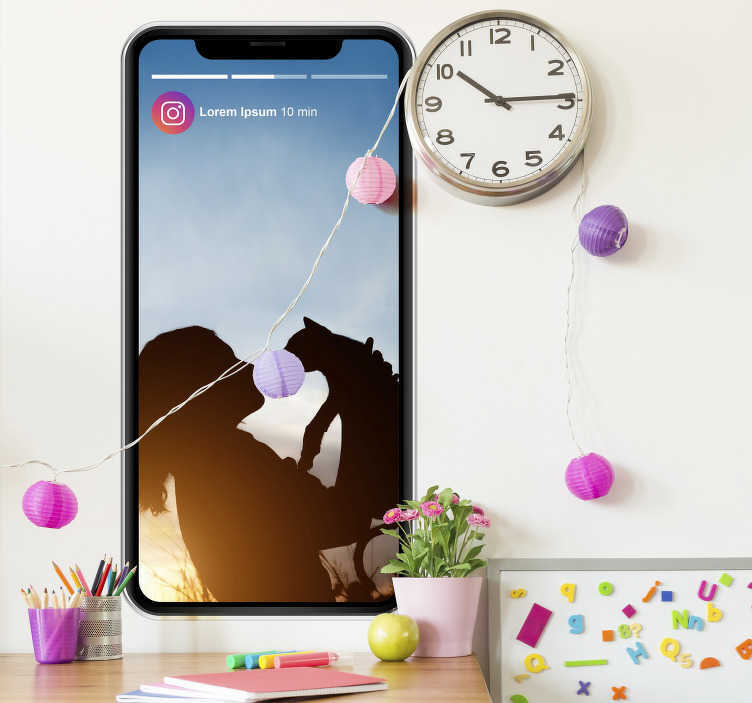 Decorate your wall with this fantastic Instagram inspired custom wall sticker, depicting a photo of your choosing in the style of an Instagram story! Ideal custom decor for those who love Instagram and wish to liken themselves to an Instagram star! Choose the perfect photo for you and get decorating your home!